For a lot of people, eBay is the main way to sell things online. When you do sell on eBay, however, you are only allowed to post a limited number of listings for free. For a long time people have complained and requested that eBay increase the number of free listings and now eBay users will be very happy to hear that the limit is being increased! Currently you can list up to twenty products for free but once this changed has been enacted (on the 15th of October) that limit is going to be pushed up to fifty. That's a rather pleasantly substantial increase. So, if you are using eBay, I hope that will be a nice piece of news for you. 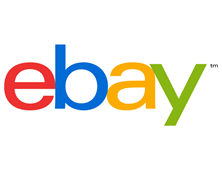 If you aren't using eBay it might be because you think it would be a pointless endeavour when you have your own eCommerce website which you made with Sellr (or had made by us). But, actually, if you're looking to find some new customers, eBay might be a good way to get people to discover your website. If somebody wants to buy a product online they will probably search for it on eBay; they are not quite as likely to search on Google (unless they can't find it on eBay) and searching on eBay won't bring them your website... Unless you are selling on there too. That's how it can help. You might think that it sounds bothersome to manage your website and an eBay account, but, actually, it couldn't be simpler! With Sellr you can sell items over your own website and on eBay simultaneously and manage them both from the same place! This will save you a lot of time and certainly make it easier to monitor your stock levels. It's good to have as large an internet presence as possible and using eBay in conjunction with your eCommerce website will really help that. Equally, if you have an eBay account but not an eCommerce website then sign up to Sellr now! Having your own website makes you look more professional and will therefore make prospects more likely to buy from you; that's not to mention that it also gives a whole new avenue for people to find your products through. As it costs no money to make a website with Sellr, you've nothing to lose by having a try!